The family of Mearns man Dominic Jackson have released a statement, after he tragically died after going on a sea kayaking trip on February 4. Dominic, 35, of Fettercairn, was found on February 9 following an extensive air, sea and coastal search. “Dominic Jackson was the 35-year-old man reported missing during a kayak expedition on Saturday February 4, 2017, off the NE coast of Scotland at Portsoy. 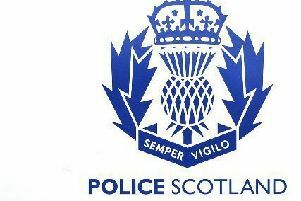 His body was recovered six days later on Thursday February 9, 50 miles away at the village of Lybster, Caithness, and has now been formally identified. His kayak had washed ashore at Lybster four days previously. A full scale land, air and sea search and rescue operation was launched involving the dedicated members and volunteers of the RNLI, Police Scotland and HM Coastguard. The search also involved teams of local people together with Dom’s family and friends scouring the cliff tops searching for any sign of Dom. This was sometimes at great personal risk due to the rugged nature of the coastline in this area and his family are forever grateful to the brave and wonderful people within these communities. “Since Dom was first reported missing by his housemate on Sunday February 5 after failing to return home, the search to find Dom was filled with the hope and prayers of thousands of people right around the world who followed every media and social media update. “Sadly Dom was most likely already dead before anyone even knew he was missing, an outcome which could have so easily been avoided had he been aware of and taken basic safety gear. Dom’s family - father Jeremy, brothers Stuart and Leighton, sisters Kirstie, Kate and Ellie together with his large extended family and friends - have all undergone a tremendous ordeal and in the midst of their grief are determined that Dom’s life will not have been lost in vain. “His sister Ellie, who lives in Australia, has set up a fundraising page to start a charity, PLanB, which has already raised £8,000 pounds in just four days. PLanB’s mission is to make sure that anyone that participates in adventurous sports or activities has a Plan B for when the unexpected might happen and you find yourself in an emergency situation. Dom should have taken some very basic safety precautions such as logging in and out with family or friends and HM Coastguard to let them know of his plans for the day. He should have had more adequate provisions or survival gear especially when heading out into the freezing conditions. He should have had easy access to his mobile phone which was stored in a difficult to access hatch behind his seat. He also should have been wearing a Personal Locator Beacon, or PLB. “A PLB is a small wearable device that operates using GPS and radio waves. When activated in an emergency it can pinpoint your location to within a few metres. They are relatively inexpensive (under £200), are lightweight and are not only for use when out on the water for kayakers, sailers, kite and windsurfers, etc, but can also be used for many land based adventures such as climbing, mountain biking and hill walking. They are an invaluable piece of equipment to help locate you and should always be part of your Plan B emergency kit. “All money raised will be spent on initial costs involved in setting up a charity in Dom’s name. Once the charity has been set up and, working together with the support of the RNLI, the overall aim will be to campaign to raise awareness of the use of PLB’s and correct sea safety logging procedures via an app and website. Further down the track we would be looking to provide educational material to support the teaching of this information to children and adults to ensure that carrying a PLB at sea is as common to everyone as wearing a seatbelt in a car or a lifejacket on the water. We would also be looking to create the ability to hire out PLBs, and to fund the availability of PLBs to groups of water users and charities. “The website www.myplanb.life has been set up by Dom’s sister to start a campaign to raise awareness and already she has been contacted by many adventure sport enthusiasts who have told her they will be purchasing a PLB. “Dom was the much loved youngest brother of six siblings, older sisters Kate, Kirstie and Ellie and older brothers Leighton and Stuart. His parents were keen campers and hikers and this is where a love of the outdoors began with weekend camping trips and half terms spent walking the South Devon Coastal Path. Dom and his family also spent a large majority of their holidays at their holiday home on the monastic island of Caldey, off Tenby in SW Wales. An idyllic beach existence including rock climbing, caving, snorkelling, swimming and fishing, the children had the freedom to explore and create their own adventures which is hard to find in modern life. “Dom continued his adventures with time spent in Cubs and Scouts, learning to kayak, sail, climb and hike, then taking part in the Tall Ships Race with the London Sailing Project. After a year travelling in Australia, he went to the University of Manchester to study Environmental Science and began a career in the oil industry in Aberdeen. After 10 years in an office, Dom realised his love of nature and being outside was too important to ignore and leaving an industry where he was highly respected, he began his own gardening business, Oakleaf Gardening in Laurencekirk. Three years later, he and his partner have built up a successful business from scratch. “Dom had just recently found himself at a time in his life with very little responsibilities and so after working hard all week in a physically demanding job, he would venture out into the beauty of the Scottish Highlands and Islands looking for new challenges and experiences. It was his confidence in his own physical fitness and capabilities together with an under appreciation for the dangers he was placing himself in that has ultimately led to his death. This is what makes his loss so hard for the family to bear as it was completely unnecessary had he made some basic preparations. “A PLB can be bought as a present to a loved one, a gift to yourself or can even be hired if the costs of owning one are prohibitive. There is no price that can be put on a life as Dom and his family have tragically learnt throughout their ordeal and they are determined that no other family should have to suffer this terrible loss.